Death is no stranger to New Orleans. On fitful wings through the passage of time and disaster, fate has forced the city’s inhabitants to acquiesce the mortal condition of life. 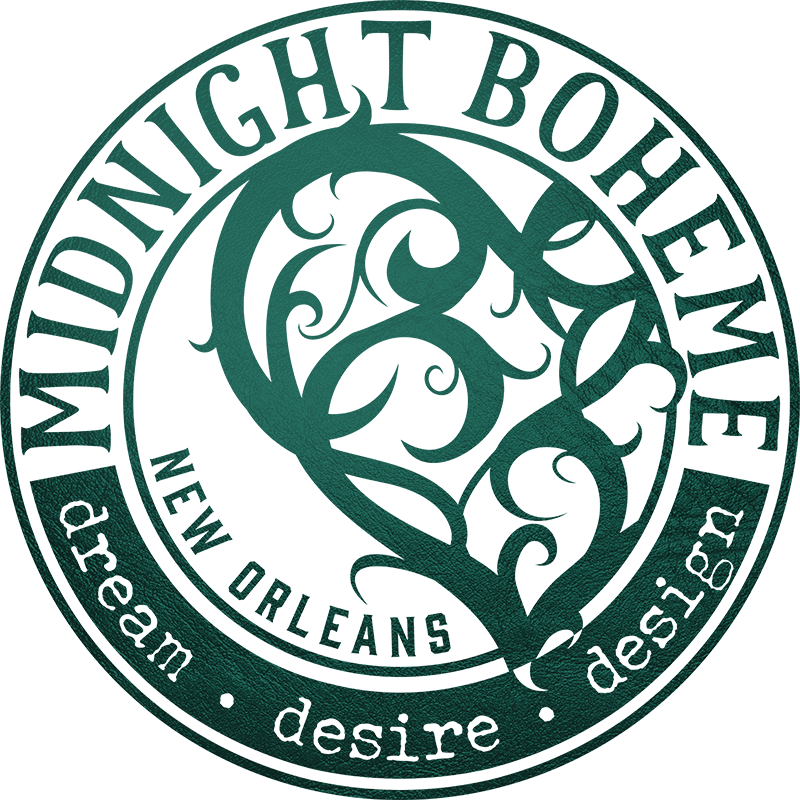 Such a cultural treasure does not sweep away the ashes like dust into the wind; New Orleans embraces the deceased with an unabashed display of ruined finery and mysterious methods steeped in history, heraldry, and a few ghostly haunts. As the river slides slowly in its yellowed waters around New Orleans – the Venice of America, the Paris in the swamps – unpredictable flooding causes a rising water table for the seaport city on the Mississippi’s mouth, creating a watery grave for bodies buried in the soggy soil of Louisiana. Early settlers struggled with waterlogged burial plots, shallow and sodden in the land sloping back from the river towards Lake Pontchartrain. Placing stones and bricks in and on top of the coffins, gravediggers hoped to weigh down the caskets underground, but to no avail, rainstorms filled the muddy graves and caused coffins to surface and float through the streets of town. Noxious fumes emitted by corpses caused epidemics in the Antebellum Era, disease spreading throughout the city, infecting the colonists with malaria, smallpox, and influenza. Through this grim age of plagues, hurricanes, and destructive fires, the death toll populated the underground cemeteries until the colonists eventually followed the Mediterranean custom of using above-ground vaults, building the first St. Louis Cemetery on the outskirts of original city limits. Mausoleums, tapered monumental obelisks, sculptural headstones, and burial compartments of walled vaults lining the perimeter of these above-ground cemeteries fashioned “Cities of the Dead” where the living place flowers, candles, hoodoo money, and other bric-a-brac as respect for deceased loved ones. Death may be a hidden secret buried out of sight in other cities, but New Orleans offers a constant reminder of the impermanence of life through multi-layered tombs ornamented by porticoed façades and wrought iron fences that resemble the ironwork of the French Quarter buildings. Entering the heavy gates of a cemetery in New Orleans – be it St. Louis, St. Roch, or Lafayette Cemeteries – compels a feeling of welcome and warning. The sun-bleached maze of tombs encompass souls in the tacit rest of eternal sleep, decorated in rusty ironwork of ornate crosses and etched steles carved in marble and stone. Contrasting shadows cast mystery along crumbled corners of tombs jutting into the narrow paths of beauty and ruin in these miniature cities of the deceased where thieves, brigands, and ghosts lurk. Along the stone temples and sarcophagi, funerary symbolism represent the lost souls in each tomb with anchors for hope, broken columns for a life cut short, and clasped hands for love’s power. With a seashell that shows a journey, a lion of bravery, a white rose of purity, a crown of immortality, and a cross for Christian faith and resurrection, families chose styles to be constructed and symbols to adorn the tomb, expressing feelings for the family members buried in the tomb, honoring throughout the ages. It is not morbid curiosity or a macabre sense of the horrific that keeps these cemeteries alive with interest and respectability. It is the memory of human throes, the sanctity of hallowed ground, and the aesthetic value that inspires literature and photography in a beautiful and tranquil place, full of history and death, yet somehow strangely uplifting in the reminder that life is as precious and, alas, finite.